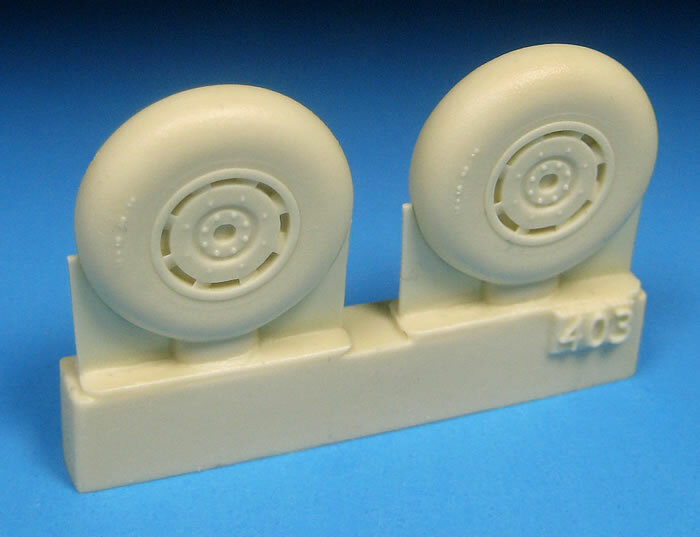 BR48402 - Hawker Tempest Series 1 Wheel. USD$8.95. 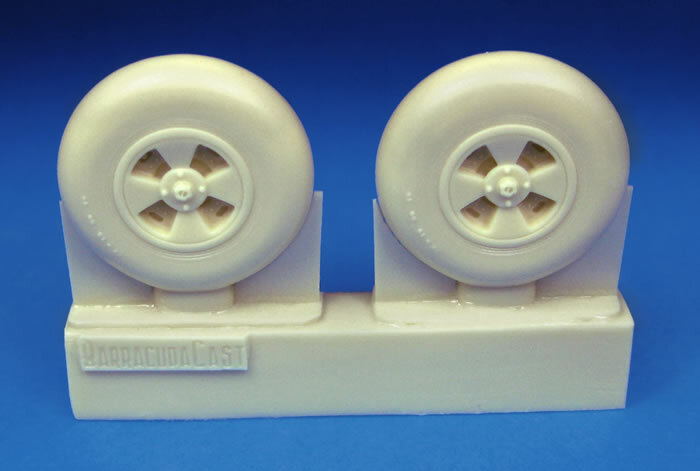 BR48403 - Tempest Mainwheels - Smooth. USD$8.95. 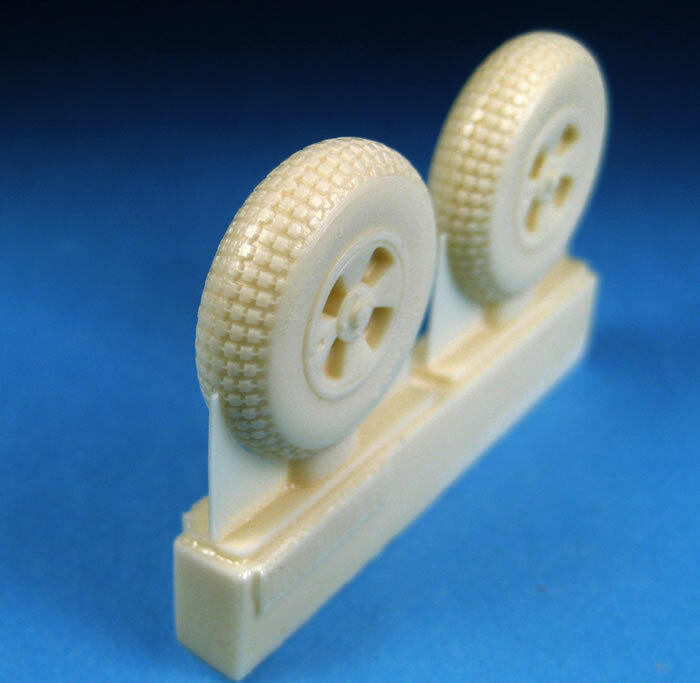 BR48403 - Tempest Mainwheels - Block Tread. USD$8.95. Conclusion: High quality replacement wheels and lots of variety - what's not to like? 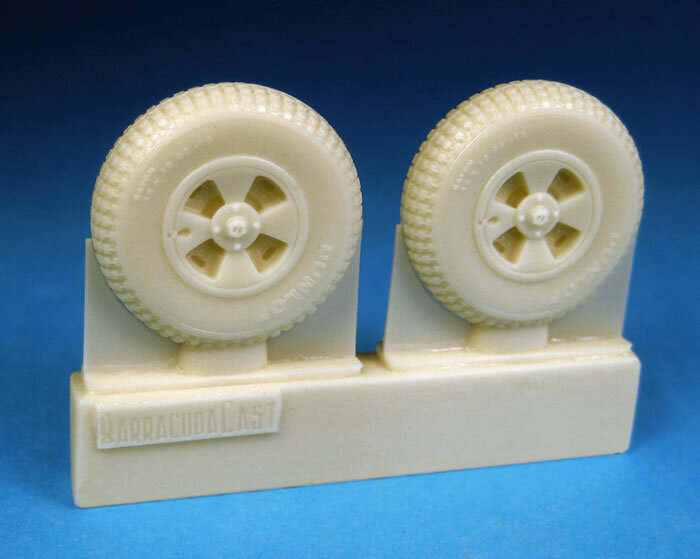 BarracudaCast is the resin accessory arm of Roy Sutherland's Barracuda Studios enterprise. 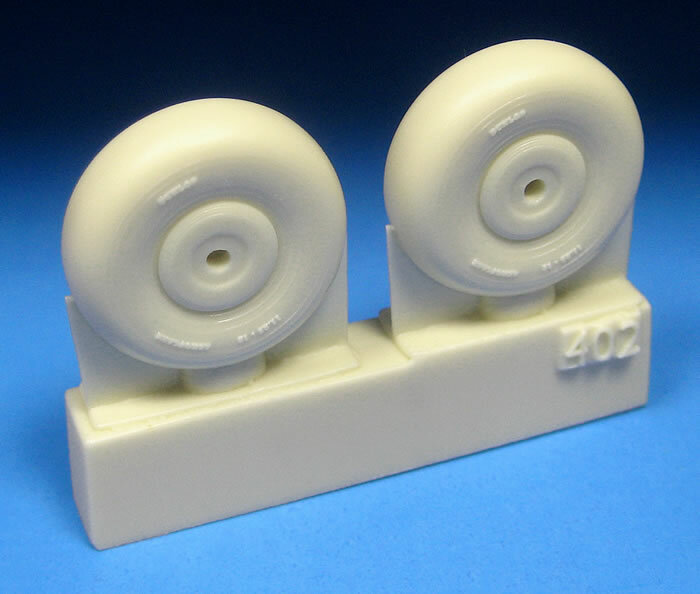 Just in time for Eduard's new 1/48 scale Hawker Tempest kits, BarracudaCast has released three sets of resin replacement wheels. 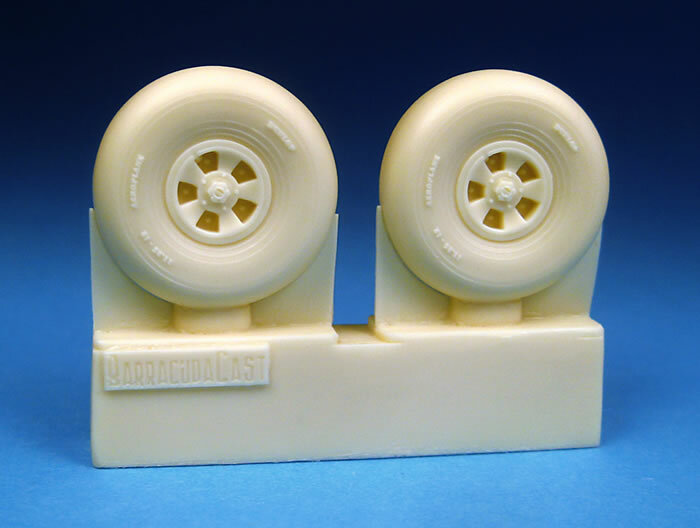 These new wheels will be suitable for the Series 1 or Series 2 kits from Eduard, and will presumably fit the old Eduard and AMT kits too. The new resin wheels are beautifully detailed. Raised lettering is included, and detail throughout is crisp. The subtly radial seams on the early mainwheels is particularly impressive. Each wheel is supplied with the bottom of the tyres very subtly bulged and flattened. Casting and detail is up to BarracudaCast's usual superlative standards on all my samples too. These are all simple yet highly desirable finishing touches for your Eduard Tempest.